The City of Chicago and the Chicago Public Schools are targeting certain neighborhoods with police state tactics. Last year, the Chicago Reader and the Shriver Center began investigating police assigned to work inside Chicago Public Schools. The news article and the published report uncover a terrifying reality for students across the city: there is no accountability for police misconduct in schools. There aren’t even policies or procedures governing police roles and responsibilities in the schools. The Shriver Center report, Handcuffs in Hallways, recommends that CPS cease to contract with police to patrol inside schools, instead calling police only for real crime emergencies. Students should not be arrested and processed on school grounds, except for severe situations. Cops assigned to or responding to school calls need specific training on how to appropriately work with teenagers. There needs to be oversight and a formal complaint process. Police presence and security measures like metal detectors create an atmosphere that dehumanizes students and singles them out as criminals. Police presence increases students’ cortisol levels, which increases stress and can lead to more fights (cortisol regulates the body’s “fight or flight” response). Increased stress also reduces students’ ability to learn and develop. According to the Shriver report, since there aren’t any rules or policies that dictate how the police are supposed to act or when they are supposed to intervene, most police officers are responding to school discipline issues, thereby criminalizing children for minor school code violations. Chicago has long been in the national spotlight for both high levels of violence and police brutality. A former police sergeant, Jon Burge, tortured so many innocent residents into false confessions (leading to their unlawful incarceration) that (as part settlement of a lawsuit) the City Council mandated CPS to “teach students about the Burge case and its legacy”. Last year, The Guardian uncovered a “black ops” secret police station where police detained, beaten, shackled, and denied legal representation to countless people. Two years ago, police officer Jason Van Dyke murdered an unarmed teenager, Laquan McDonald, shooting him in the back sixteen times as he was walking away. 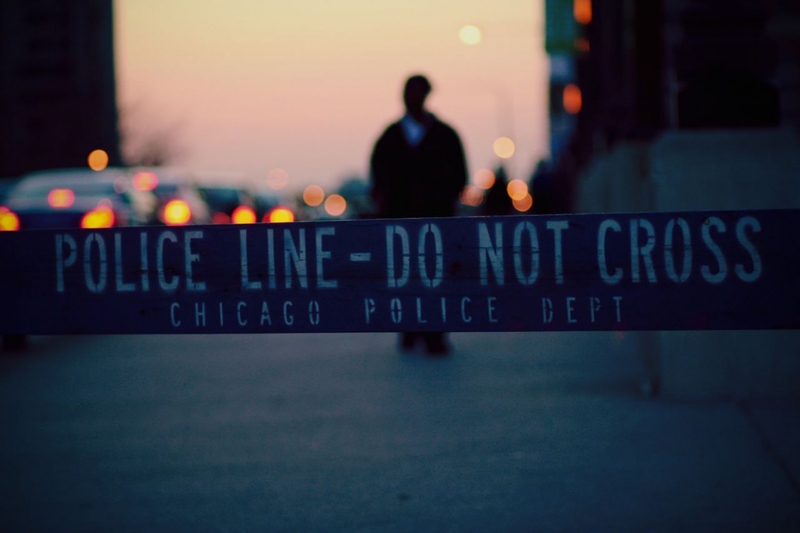 The U.S. Department of Justice investigated the Chicago Police Department and found widespread abuse and that the oversight committee, the Independent Police Review Authority (IPRA), rarely prosecuted cops for wrongdoing. Relative to other cities, Chicago has been identified as having a particularly corrupt and unlawful police department. 67% of the police officers working in CPS schools have IPRA complaints – 11% have ten or more! In spite of this, the police that work in the CPS schools are not screened or provided any youth-specific training. This means they aren’t equipped to work with youth and don’t know how to de-escalate issues. This leads to unnecessary arrests and criminal records. There is no oversight of police at the schools and there is almost no recourse for bad police conduct. 67% of the police officers working in CPS schools have IPRA complaints – 11% have ten or more! If all of this weren’t bad enough, there are civil rights violations taking place every day: 4,500 security cameras are hooked up to the police district. The department uses these cameras to collect information for the gang database and a violent crime database, but students have no way of knowing what information the police are collecting or storing. Police who patrol the hallways are also collecting information that they overhear from students talking to their friends, which could be misinterpreted or taken out of context. CPS did not respond to a request for comment on the Shriver report, but instead told the researchers to contact the police department. The CTU advocates for restorative justice coordinators and limitations on school-based resource officers. Police should not be forced onto school communities. incarceration, policing, school-to-prison pipeline. Bookmark.